Available for UK next day delivery with a FREE box of Belgian Chocolates included is our Fantasia bouquet. 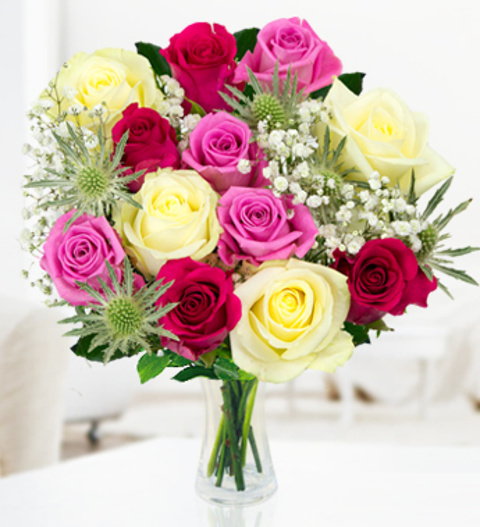 An enchanting arrangement with avalanche roses, fragrant red roses and aqua pink roses expertly hand tied with Baby's breath and eryngium. A truly magical arrangement that will delight your recipient whatever the occasion may be. Chocolates may contain nuts.